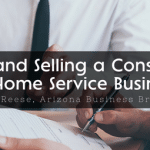 The construction business is booming in Phoenix, so it could be a great time to buy a construction or home services business. Or, if you already own one of these businesses, it could be a great time to sell and make a nice profit, either allowing you to retire in comfort or to fund your next endeavor. Timing is everything when you’re buying or selling a business. If you try to sell your business when it is still relatively new – say within the first few years – it will be very difficult to find a buyer, and even if you do, you probably won’t get a lot of money. The reason is, you may not be making very much profit or you haven’t reached the full potential of the business. Lots of people who try to sell their still growing businesses will claim it has a lot of potential. The problem is, buyers don’t want to hear about potential; they want to see actual results. You also run into a problem with timing when you try to sell when things aren’t going well. You decide that you want to jump ship before you lose everything, so you try to sell. Again, your business isn’t going to be very attractive to buyers if it isn’t thriving. As a buyer, you want to look for a business that’s in its prime. It’s best to work with a business broker in Phoenix to get a clear picture of the business’ trajectory and profitability. When selling a Phoenix business, you want to get as much as possible. When buying a Phoenix business, you want to pay as little as possible. However, keeping your sights set on extremes is a sure way to undermine your goals completely. As a seller, you need to strike a balance between what you want and what will be attractive to buyers. You don’t want to under price your business, but you don’t want to overprice it either. If you over price it, potential buyers won’t even consider looking at your business. A good Phoenix business broker will help you identify the right price to get the best profit while also selling your business as quickly as possible. If you are looking at buying a Phoenix business, a good broker will help you secure the best deal so you can make the best possible return on your investment. Don’t ever just take an owner’s word for it how much their business is making when you are considering buying a business. Always ask to look at the books so you can thoroughly analyze all the expenses and the revenues. You will want to know how much payroll costs, what a usual inventory order looks like, what benefits are provided to their employees and are the costs increasing, and so on. You will also want to know what sales look like by quarter or monthly and what the overall revenue trajectory looks like. The more detailed the books, the better. You need as much information as you can to make an informed decision. As a business owner, you should be sure that you are keeping great books. Even if you aren’t in the selling frame of mind right now, you will be one day, and you don’t want to ruin your chances of selling your business by keeping poor books. By getting in the habit of keeping good books now, you will make yourself more money later. Don’t think that you can buy or sell a business yourself. Well, technically, you can, just like you can technically buy or sell a house without a Realtor. But that doesn’t mean that you should. A good business broker can walk you through every step of the buying or selling process, giving you insights into how to make the best decisions to reach your goals. Your broker can help you get your business ready to sell to make the most money, including timing and pricing it just right and marketing it in the right places so you can attract the maximum amount of potential buyers. Your broker can also help you find the best businesses to buy and then negotiate the best price for you. If you are looking to buy or sell a business in the Phoenix area, make sure you work with an experienced business broker in Phoenix and make sure you keep these other things in mind. 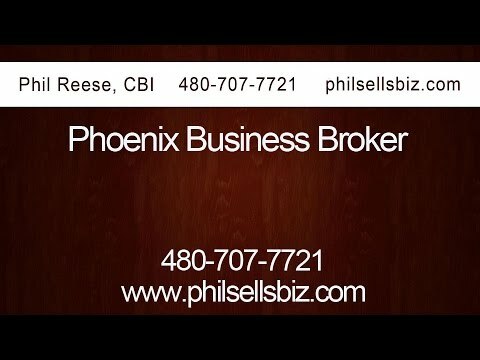 Phil Reese is an experienced business broker in Arizona who can help you whether you are considering buying or selling a Phoenix business. Phil Reese is a Certified Business Intermediary (CBI) with years of experience helping people buy businesses and sell businesses throughout the Phoenix metro area. Let him use his expertise to help you meet your business goals. Call Phil today to discuss your goals and to get the process started!